Williamsport, PA - I keep looking for individuals or teams that have dedicated themselves to the "Pursuit of Greatness." 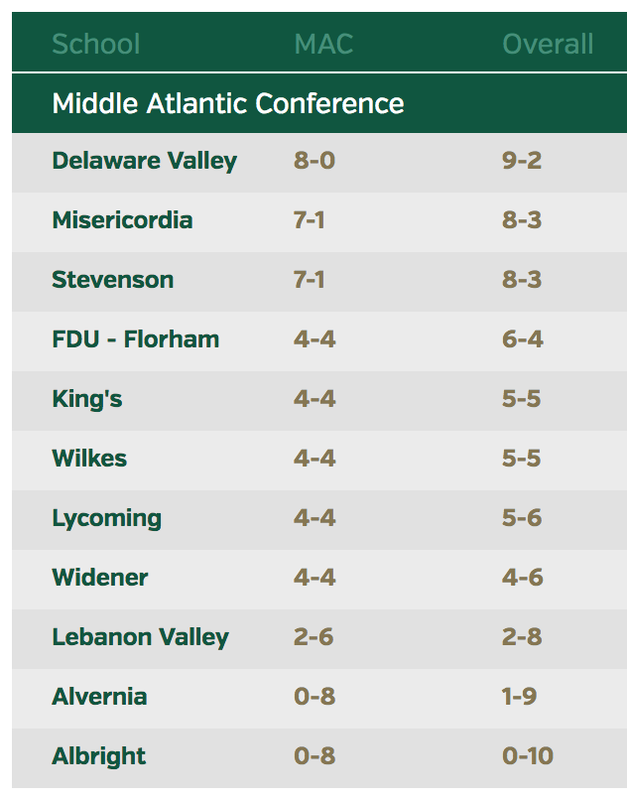 Now you might say to yourselves, "yea, the team that goes 10-0, the team that wins the conference championship or the player that is All-Conference or All-American." No, I have discovered a different brilliant shade of the "Pursuit of Greatness." I have discovered a whole family that smacks of this God given instinct called the "Pursuit of Greatness." This family has connections to the storied football program at Cardinal O'Hara High School. This family also has Blue and Gold in their blood. This family is the Lycoming football family of Paul, Anne, Casey, Jim, Christina and Tara Strus. It was two, maybe three years ago that I met Paul Strus (At my age, I lose track of details). It was a typical way I meet people, on the sideline before a game or scrimmage. Because of this meeting I have enjoyed watching his son's play at each football game. His son Casey, #6 is an offensive lineman, playing center to be more specific. He is one of those unsung hero players that makes the blocks for the running backs. protects the quarterback and takes no credit for the glory. He just does his job to the best of his abilities and melts into the background, humble and satisfied. A graduate of Cardinal O'Hara high school, he was First Team All-Catholic league, All-Delaware County and Second Team All-State Selection. He decided to come to Lycoming College and Lycoming is glad he did. As a freshman for the Warriors, Casey played in nine games on the offensive line. 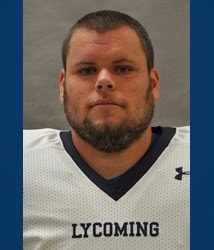 As a sophomore at Lyco, Strus appeared in 10 games and started nine on the offensive line. He helped the team average 342.1 yards per game and 175.6 rushing yards per game. 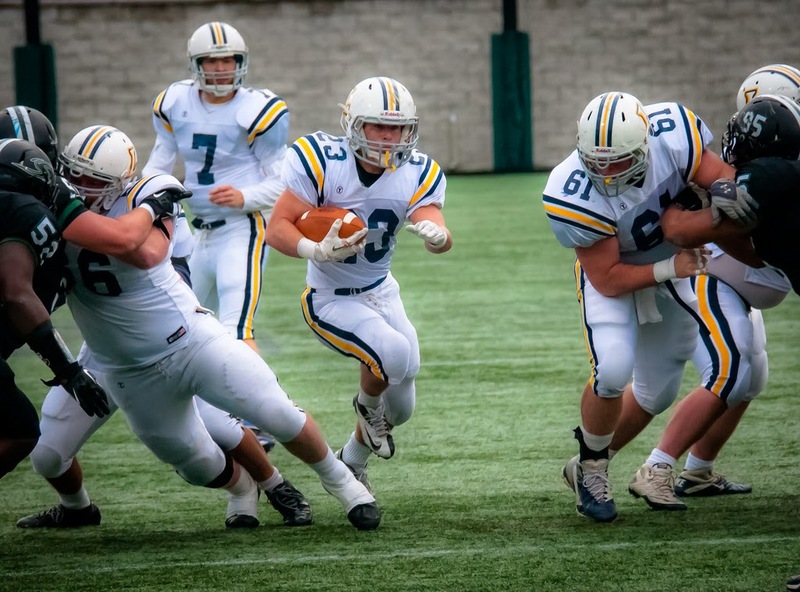 He also helped the Warriors rush for more than 100 yards in each of the nine MAC games and post more than 300 yards of total offense in eight straight games. Casey's junior year got even better as he earned Honorable Mention All-MAC honors at center. He started all 10 games on the offensive line that year and helped the team average 355.7 yards per game and 144.8 rushing yards per game. I should also mention that he helped the Warriors post more than 300 yards of total offense in six games, and yes the team was the MAC Conference Co-Champion in 2013 as they shared the title with Lebanon Valley. Casey is an example of a person dedicated to the "Pursuit of Greatness." and interim head coach Paul Strus. I also have to shine my spotlight in the article on Casey's father, Paul. Paul was a special teams football coach for the Lions and as fate would have it, was thrust into the head coaching position for the O'Hara team. Not something that Paul even desired as I have gathered from conversations with him. He took on this responsibility due to the untimely death of the head coach and friend Danny Algeo. Coach Algeo passed away on July 3, 2014. As the Cardinal O'Hara website has published, Algeo dedicated his life to faith, family and football. 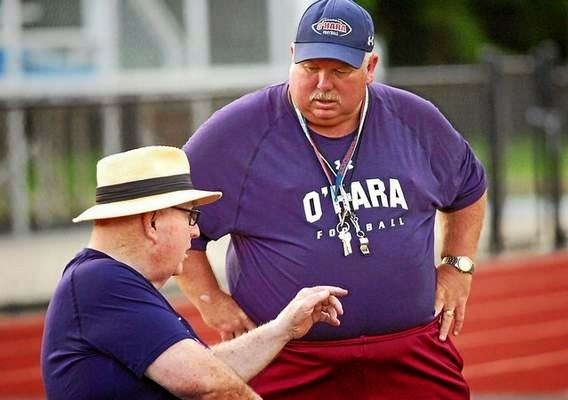 Without a football coach and the season practices beginning in 7 weeks, Cardinal O"Hara was without a head football coach. After conversations with Paul I learned that the school board asked him to take on the position of interim head coach for 2014. Paul accepted this position to stabilize the program and in honor of his friend Danny. While you might be expecting the storybook ending headlines to read, "Cardinal O'Hara overcomes tragedy and climbs the mountain to a 10-0 winning season," that is not the case. The O'Hara Lions have won only one game to date. That sweet win did give them the taste of greatness, just a little taste. But as Paul Harvey always said, "I will be right back for the rest of the story!" When I go over to Anne and Paul's tailgate party, I am offered food and drink. But I always ask this question first, "How did the team do Paul?" Paul always gives me a thorough summary of the game. He also always seems to have this great inner smile on his face of accomplishment. Have you ever seen a smile on the inside of a person. Do you know what I mean. That look of accomplishment even in defeat. That satisfaction that suggests, "I have given it 110% and the boys have given it 110% and that was the outcome. I have been victorious in my goal. Give it my best shot and let the chips fall where they may." This is Paud Strus and family. Anne, a great supporter of the group, Casey a great player for the offensive line of the Warrior team, and Paul a great role model for you and me. Life gives and takes, but there is one thing that life does not do automatically. The one thing it does not give us is the energy to continue the "Pursuit of Greatness" especially in times of trial. Paul and company have that extra something to gives me goose bumps on the back of my neck. I have so much respect for Paul. He makes no excuses for this year, he doesn't whine and moan. He just does his job over and above the call of duty. And oh yes, how about this! Can you believe that last week the league moved a conference football game from Saturday to Sunday so Paul could watch his son play football against Widener. I sit here typing on my laptop with tears welling up in my eyes. "Paul, did I hear you say they moved the football game from Saturday to Sunday so you could watch your son play football?" I have never heard of that ever happening. When the going got tough in life, I have given it up. I have also gone the course. So I know both sides of this coin. Maybe that is why I am so touched by people who are great in my eyes in not always on the winning side of greatness, but have the never ending desire to pursue greatness. In Cardinal O"Hara's head coach Paul Strus' case, he didn't win the league championship, he didn't have a winning season, but he played the game of life giving the school everything he has inside. He has given these young boy's one of the best lessons in life. He has moved them into becoming young men. He has given the families of everyone close to Cardinal O'Hara some stability in a time of need. I will always treasure my friendship with the Strus family. I will always give them a pat on the back. My wish is that you also will do the same when you see one of Lyco's special families, the Strus family. Paul, Anne, Casey, Jim, Christina and Tara, may God continue to bless you and keep you under his wing through the rest of your journey on this good earth. You are so special.